Welcome to our About Us page where you will find out how the Math Salamanders started way back in April 2010, and also a little bit of background about how it all came about. I have been an elementary-age teacher for the last 20 years...it has been a long and interesting journey! At university, I had studied and got a degree in Math and Computing and I had always wanted to find a job that involved using my skill set. I also enjoyed being around kids so it seemed natural that I get a teaching qualification and become a teacher. During my teaching career, I have taught many different ages of kids, and I have led Math successfully at the schools I have taught at. As a family unit, we have always believed in the importance of a good education, and it seemed quite natural that even when our daughter was as young as two years old, we were already thinking about homeschooling her. We homeschooled our daughter right through until she was 16 years old and it was a great experience for me to tutor her for Math right the way through her homeschool life. Way back in 2010, after having taught for more than 20 years, I decided that I needed a change in my life. Don’t get me wrong - I really enjoy teaching the children I work with and being in the classroom has definitely been the best part of my job. However, I felt that I needed something different in my life to keep me stimulated and to develop a whole different skill set to those that I had been using for the past 20 years. It was in the Easter holidays of 2010 that I had a conversation with one of my friends who was herself running a very successful online business. She said that she felt that there was a good demand for Math worksheets and Math resources on the internet and that I could easily make a living by creating and developing a Math website. I was quite sceptical, though also keen to try something new. After a lot of deliberating, I decided that I would give it a go. I don't think that I would have got very far if it wasn't for Solo Build It! This is an online business builder package. It takes you through the whole process a step at a time. You don't even need to have web-building experience - it is all taken care of for you. There is a link at the bottom of the page if you are interested yourself. During the Easter holidays of 2010, I went ahead and signed up for a year of Solo Build It (SBI!) and paid my subscription fee. I had a discussion with my family about what to call the website - we had a lot of different ideas and wanted the theme to be appealing to kids. At the time quite byt chance, I read an article on the internet about how salamanders can count. The idea of the Math Salamanders seemed perfect and we all quickly decided that we would call our website by that name. So I followed the step-by-step instructions helpfully provided by SBI. I knew I wanted to build a Math website, as it was my area of expertise. 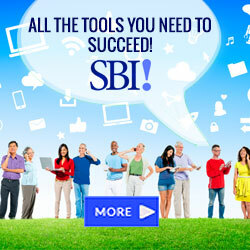 With help and support from SBI! I built it up - slowly and steadily. It took me a long time to get it looking the way I wanted it to look, and to get the layout of my pages sorted. Then I started creating worksheets and building pages - one at a time. Visitors slowly started to arrive - at first only a few visits a day and then gradually increasing each month. By the end of Year 1, with a lot of hard work, I had repaid my subscription fee several times over and had enjoyed myself immensely in the process creating resources for people all over the world to use. I always try to put my teacher's hat on when creating resources for my site. I know how important it is to create different versions of the worksheets so that different ability levels are catered for. This is especially important for kids who really struggle with learning Math. My son falls into this category and he has found it very hard to learn new concepts without a lot of extra support and consolidation. I feel that knowing how difficult he finds Math has really helped me understand and acknowledge how hard this subject can be for some kids. The worksheets I create tend to have many different levels of ability within them so that as a teacher or home-educator, you can fine-tune the sheets to the needs of the students. Now, the Math Salamanders has grown into a huge site with about a million page views per month. It has changed from being a part-time hobby into a full-time job. I have taken a career break from my teaching job a short while ago to work on my website full time. It has freed up a lot of my time and I am now able to organise my day how I want. I still really enjoy creating resources for the website and there are so many different resources to create, from worksheets to calculators to videos that there is never a chance to get bored. It has also been nice to involve the rest of my family in the website, and most of the clipart and coloring sheets you see have been designed by my daughter or my wife. The website has allowed me to be much more flexible with my time and allowed me to spend time doing what I want to do and being able to spend much more time with my family. I hope you enjoy using our resources and please let us know about our site by leaving a comment at the bottom of each page. It is a fantastic tool and takes you through the whole process, step-by-step. The link below will open the Solo Build It site in a new browser window so you can take a look yourself if you are interested. I will receive a monetary payment should you choose to subscribe to SBI!